Don’t miss this sponsorship opportunity offered at the MSNA Annual Conference for our industry members. For $100, your company, product or service can be featured on the ticket for the special drawing of Destination Getaway packages. Mississippi Destination Packages and a Nashville Destination Package will be given away to attendees at the MSNA Annual Conference. Packages will consist of two nights stay at a destination hotel for two and a gift card with funds for travel and for a meal at a restaurant of their choice. Attendees will receive a perforated individually numbered ticket as part of their packet at registration. A photo of the ticket from last year is below. 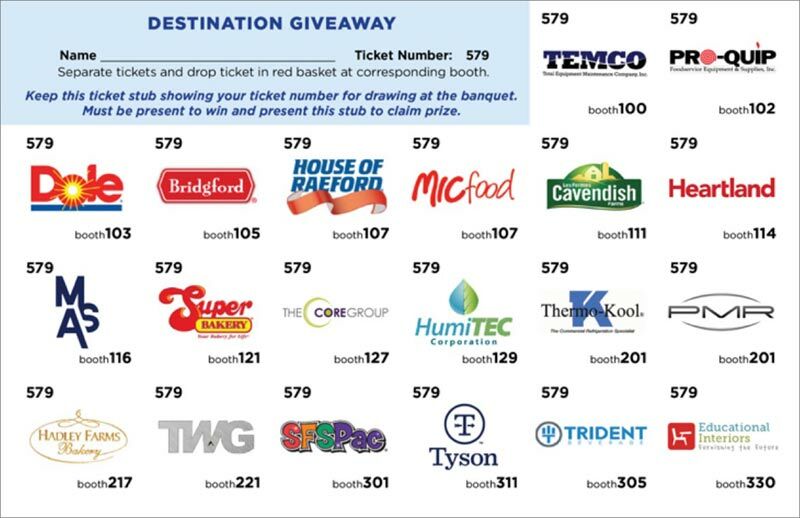 Attendees will separate the tickets and drop a ticket in marked baskets at the participating industry partner’s booths, keeping the portion with their name and a unique number. Every conference attendee will come by your booth to deposit a ticket. Drawing for the destination package will be held at the Awards Banquet Saturday Night.